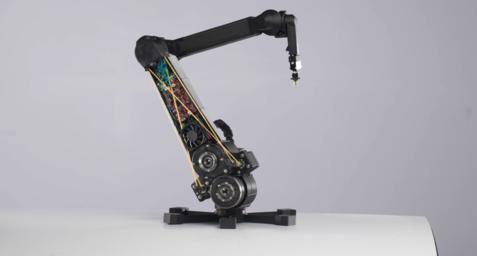 Read how Las Vegas-based robotics company Haddington Dynamics uses Markforged technology to create its high-quality, affordable Dexter robot arm. Las Vegas-based robotics company Haddington Dynamics launched its affordable, open-source Dexter robot arm in 2015. 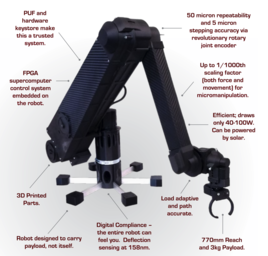 With an impressive list of customers including NASA, Toshiba, and GoogleX, Haddington Dynamics has distinguished itself by creating a robot capable of pick and placing, gripping, and even 3D printing other Dexter robots. 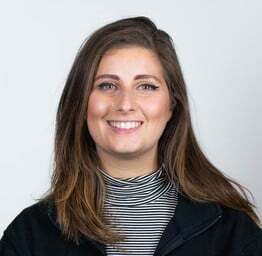 The team initially used laminated wood, paper, and a laser cutter to create the Dexter, and then moved on to a PLA printer to create parts at a more cost-effective price point. 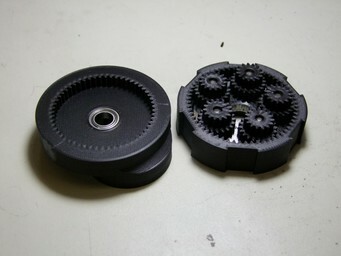 Unfortunately, the PLA material was incredibly weak and required extra reinforcement, so it was not a good investment for them. At the advice of a very trustworthy customer, Haddington Dynamics sought out an industrial printing solution. “NASA came out to build a Dexter with us, and told us we should really consider a Markforged printer,” said Dexter inventor Kent Gilson. 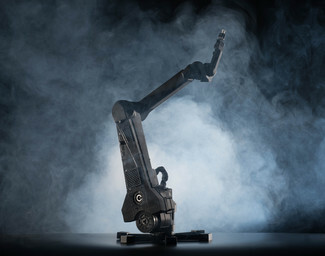 “Within about three weeks of receiving our Mark Twos and Onyx Pros, we had completely redesigned the robot with the carbon fiber layup and saved all kinds of volume.” With Markforged technology, Haddington developed a complete 3D printed robot arm kit from 800 parts down to 70. Haddington Dynamics was spending an enormous amount to create each Dexter, and it would take a week to assemble parts made from PLA. Now, it only takes a day to assemble each 3D printed robot, while costs are down significantly in both material and labor. Seeing as the company makes about ten Dexters per month, the printers have more than paid themselves off. “You recover your ROI in a single output, which changes the manufacturing model,” said Todd Enerson, CEO at Haddington Dynamics. An integral element of the 3D printed robot arm kits are the end effectors. Dexter had a standard set of end effectors, but it made more sense for Haddington to print custom fingers for each kit. 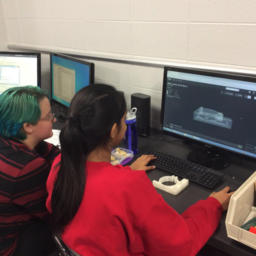 Engineers scan the part in question and print fingers that can pick up the customer’s item, making operations much smoother and faster. Many of the Dexters actually have replaceable end effectors that can be swapped out for ones that work for different parts, so customers can pick and choose how many grippers they want. Dexter is almost entirely made of Markforged printed parts, with Haddington saying the eventual goal is to have the robots build themselves using Markforged 3D printers. The robots are already capable of pausing the print and then embedding all the electronics, so it’s not just a far-off dream. We can only assume that we will be seeing many more Dexters in the near future, all made with Markforged printed parts! Interested in seeing just how strong Markforged printed parts can get? Request a free sample part!